My biggest kid started primary school this week and we're all just settling into the new routine that will see us through the rest of the year. What a bizarre set of emotions this experience has brought out, such a strange mix of nostalgia and sadness, excitement and bursting pride. She is SO keen, my Miss Mae and has been loving the first few days, as I knew she would. Our school is lovely and very local and she has a great set of long time friends in her class, it's really the perfect introduction to her school years. 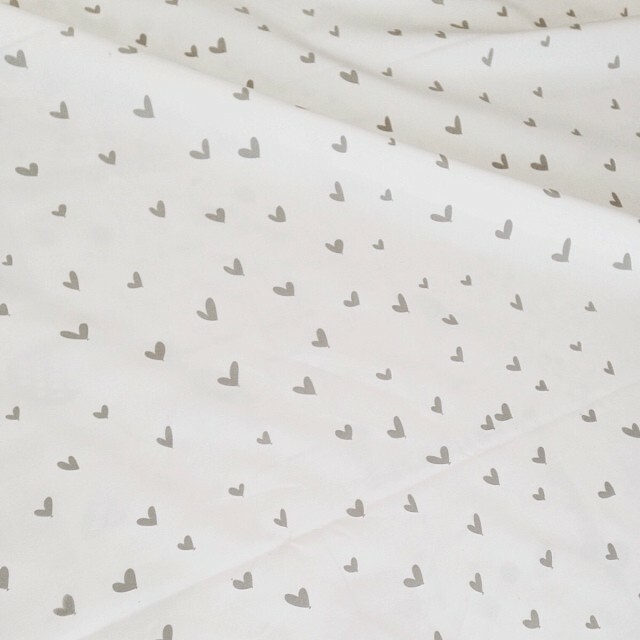 I am not usually a love heart person, but I loved this fabric so much, it is perfect in grey or red!